What sets Certified Tile Installers apart is a deep passion and commitment for setting tile by the book. The TCNA Handbook that is, along with its companion references, the ANSI Standards and the NTCA Reference Manual. Jason McDaniel CTI #1273 of Stoneman Construction LLC in Portland, Oregon is a perfect example. He's also next in the CTEF Blog series about Qualified Labor. 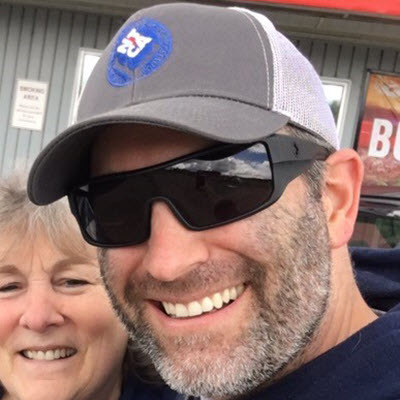 Editor’s note: Pictured with Jason is his Mother, Karen Dunn. CTEF: Jason, tell us about yourself and your business. I am 39 and I have lived in Portland, Oregon since I was 15. When I was younger I didn’t know what I wanted to be when I grew up. I often had thoughts of being a police officer or a Navy Seal, like most young kids probably do. I was always good with my hands and could build and fix things. I realized how much I loved it when I got involved in car audio installation where I was able to create custom speaker enclosures and help friends install car stereos and home sound systems. When I was 21, I was working as a bartender in a small Irish Pub in Portland and a friend came in and asked me if I was looking for a better job. He worked for a small solid surface fabrication shop called “Smart Granite.” I was hired the next day. I realized early on that I had to teach myself how to fabricate and install these counter tops. This particular company was not equipped with very good personnel and I was given no training. Within a couple of weeks, I was one of the best installers they had. Over the next few years I bounced around a few different fab companies installing counter tops. At each one I ran into problems with management. I was always trying to streamline the process to save time and money, but nobody wanted to hear it. After years of frustration I decided to start my own business and in 2006 Stoneman Custom Granite Works was born. CTEF: How did you get involved in tile? My first job was to demo, fabricate, and install granite kitchen counter tops. Everything went smoothly, I got paid for the week’s worth of work and it was by far the most money I had ever made in my life up to that point. This was a good thing because I had spent $40,000 on a new truck, trailer, and tools. When the excitement of my first successful job wore off, the fear of not having another job lined up crept in and I realized very quickly that I wasn’t going to be able to make a living just being a solid surface installation company. Right about the same time the fear grabbed a hold of me my phone rang. Obviously my answer was a resounding Yes, although I knew nothing about it and had never set a tile in my life. I was given a week to demo, prep and install these four tile flours, with base. I made a phone call to a friend who worked in the tile industry. Seven days later the job was done and I was paid more money in a week than I had ever made in a month. 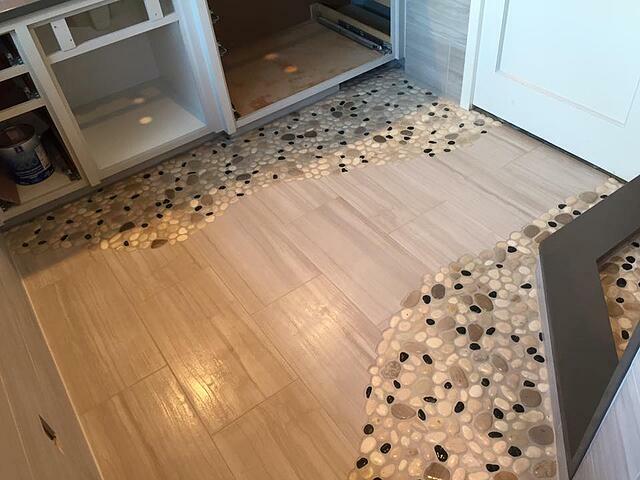 The phone started ringing for tile projects so I reached out to an installer I had met on a job site who had 25 years tile experience. I asked if he could teach me how to do prep and shower pans. For a few years I installed tile the way I was taught. I was always able to make things look good and because I care about my customers, I did nice work, partly due to my years of granite fabrication, but I was never comfortable with the process. I knew there were better and more efficient ways to do things. CTEF: How did you learn about CTEF and the CTI Program? A few years ago, I needed some help finding a solution for a substrate that I had never worked with. 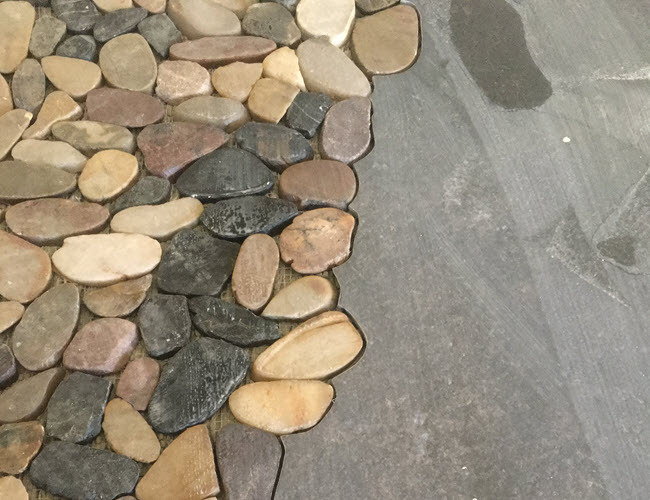 I made some phone calls and ended up getting in touch with my local Ardex reps and learned more in a 15-minute phone call than I had in all my years of setting tile. It was through the Ardex reps, John Esteve and William White, that I learned about Tile Geeks. They also introduced me to Dirk Sullivan of Hawthorne Tile, an NTCA 5-star contractor. Dirk and William took me under their wings and introduced me to the National Tile Contractors Association and the CTI program. 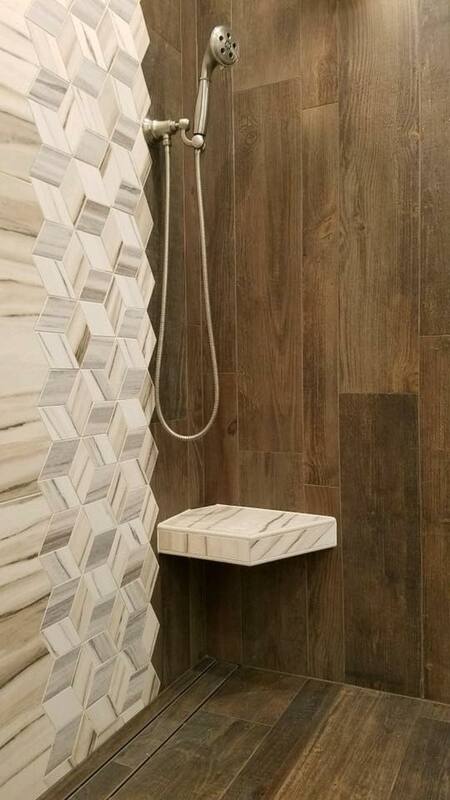 >> See It’s#TileTuesday… Starring StoneMan Construction on the Ardex Pulse. It was during this time that I created Global Tile Posse, a Facebook forum. I wanted to create a place where up and coming installers could feel safe posting their work, good or bad, and from those posts, learn the correct way of setting tile by the countless professionals and industry representatives involved in the forums. CTEF: Jason, tell us more about Global Tile Posse. Tile setting can be an extremely lonely business. Starting the Global Tile Posse with Dave Bitton has been an amazing tool to combat that. We have done many fun competitions that have given people, like Angie Halford, the opportunity to showcase their talents. 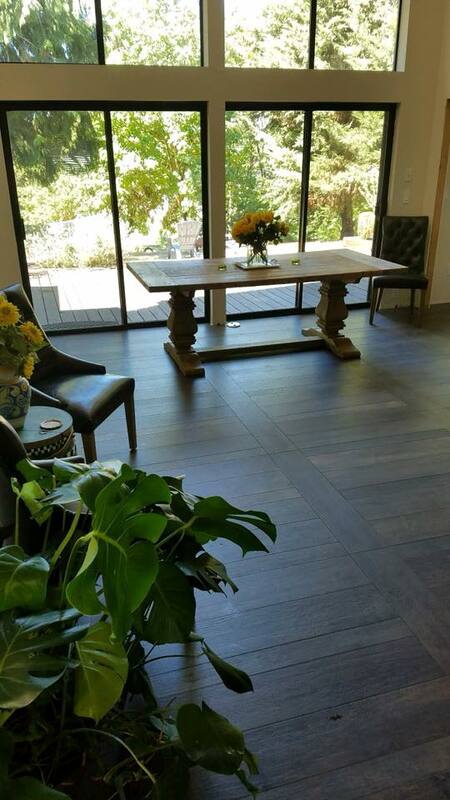 We are able to talk about tile, life, family and friends. It gives all of us a safe place to go when we are struggling in the day to day grind that is setting tile. We are also able to talk about organizations like the NTCA and the CTEF and how important they are to the growth of our industry. CTEF: And when did you become a Certified Tile Installer? I went to Total Solutions Plus in Palm Springs in 2016. It was there that Dirk Sullivan introduced me to Scott Carothers of the CTEF. Dirk and William were very persistent that I take the CTI test and get certified. Due to this, Scott set up a CTI hands-on test for me and one other installer at the JLC Live Convention in Portland, Oregon on December 1, 2016. The month building up to the test was exciting for me. I was extremely eager to test myself and see where I stood with some of the other certified installers in the country. Less than 2 weeks before the day of my test, I had a work accident when a mirror broke and a shard of the mirror sliced through my left hand between my thumb and pointer finger, barely missing an artery in my left wrist. One of the first fears I had sitting on the hospital bed was whether or not I would be able to take my CTI. A few days later, against doctor’s orders, I took and passed my CTI with one hand. CTEF: Jason, what have you enjoyed most as a result? A lot has happened since that day over a year ago. I have met more amazing, successful people in the tile industry than I ever knew existed. My eyes have been opened to an amazing world where support, friendship, and family is truly a phone call away. We at Stoneman Construction LLC have dedicated ourselves to doing everything by the book, using proper methods and standards specified in the TCNA Handbook, ANSI Standards, and the NTCA Reference Manual. We are obsessed with substrate prep, keying in our mortar, and directional troweling: terms I didn’t know just a few years ago, and wouldn’t know now if not for associations like the NTCA. CTEF: How has becoming a Certified Tile Installer benefitted your business? There is no doubt that I have become a better tile setter, business owner, friend, brother and son due to the relationships that I have built through these amazing platforms. Since becoming a CTI, I have been able to charge more and there is a noticeable difference in the way I am treated by my customers and the contractors I work for when they hear that I have taken steps to become more educated and certified in the industry that I work in. But there's more to it - starting with time management. The CTI forces you to think about time management, if you aren’t keeping track of where you are in the process & how much time is left you will run up against the clock & end up not finishing. There is no doubt that I treat projects similarly, testing myself daily to see how well I manage whatever it is I am working on. Like the CTI hands-on test, each job is a puzzle that can be put together many different ways, finding the fastest, most efficient way is a daily test on each project. CTEF: Jason, how important is substrate preparation for setting tile? Substrate prep!!! It is a huge topic. We spend hours fixing walls and floors before we start each and every job. Having a flat surface to work on saves you so much time and money. A flatter surface means less thinset used when installing, better coverage, better bonding and it's visually much more appealing. It goes back to time management, spending a little more time on substrate prep will save you a lot of time during installation. CTEF: What do you like to do when you’re not immersed in tile? We are a small business in Portland Oregon consisting of me, my brother Shawn McDaniel, and tile installer and CTI Jeremy Bickett, and apprentice Travis Valentyne. We all enjoy working together on a daily basis. When we are not working, I spend my time listening to audio books and flying at IFly, an indoor skydiving facility close to my house, where Travis Valentyne is my instructor. My brother Shawn and Jeremy are both obsessed with fishing, so when they have time off you can find them at one of the many lakes or rivers in the greater Northwest. CTEF: How did you get involved as NTCA State Ambassador and in the CTEF Regional Evaluator program? I am extremely proud to be an NTCA Oregon State Ambassador and Certified Tile Installer #1273. I am also proud to be a CTEF Regional Evaluator for the CTI program, along with my evaluator partner Shon Parker of Hawthorne Tile. I would have accomplished none of these things had I not been open to learning about the trade that I have chosen as my profession. It is because of that openness that I have the opportunity to write this bio about my journey. I am very grateful for the countless friends, mentors, and family members that I have met along the way. CTEF: Jason, how can readers learn more about you and your business? You can reach me on Facebook and find me on Global Tile Posse and Tile Geeks. I'm also on Instagram. Are You Ready to Set Tile by the Books? If you haven't already, consider becoming a Certified Tile Installer (CTI). As a CTI, you set yourself apart from the crowd and know how to anticipate tile installation problems before they occur. Do it right the first time and get paid accordingly. Are you ready now to validate your skills as a tile installer? Become a CTI like Jason McDaniel!